We are excited to announce the release of our official mobile app for the Android / Google Play store. 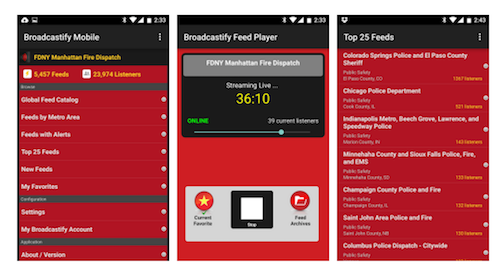 Download at the link below, or search for "Broadcastify" in the Google Play Store on your Android Mobile Device. Enjoy!